1970 - Westfield Primary School established. 1971 - Orlando Street Bridge rebuilt. 1971 - Nerrigen Brook Primary School opened. 1972 - Clifton Hills Primary School (then Connell Avenue Primary School) opened. 1972 - Armadale Square Shopping City (now Armadale Central) opened for business on 23 March. 1972 - New Armadale Library opened in Orchard Avenue. 1973 - Morgan Park established for community recreation. 1973 - Roleystone Shopping Centre built. 1973 - Kelmscott Senior High School opened. 1973 - Kingsley Railway Station (now Sherwood) added to the Armadale line. 1974 - Creyk Park opened for recreation. 1974 - John Dunn oval (Third Ave, Kelmscott) opened for recreation. 1976 - History House Municipal Museum officially opened. 1976 - St Francis Xavier church occupied it's new building. 1976 - Closure of the Armadale to Byford / Mundijong railway line. 1976 - Fire destroys Kelmscott Village Shopping Centre. It is rebuilt. 1976 - First Roleystone full-time medical practitioner: Dr M.A. Loeffler. 1977 - Byford Ward becomes part of the Shire of Serpentine-Jarrahdale. 1977 - Roleystone Hall was extended to include a theatre. 1977 - Opening of the Elizabethan Village on Canns Road. 1977 - Forrestdale golf course (nine holes) opened. 1979 - Wungong Dam completed. 1979 - Opening of the Armadale Recreation Centre, now known as the Arena. 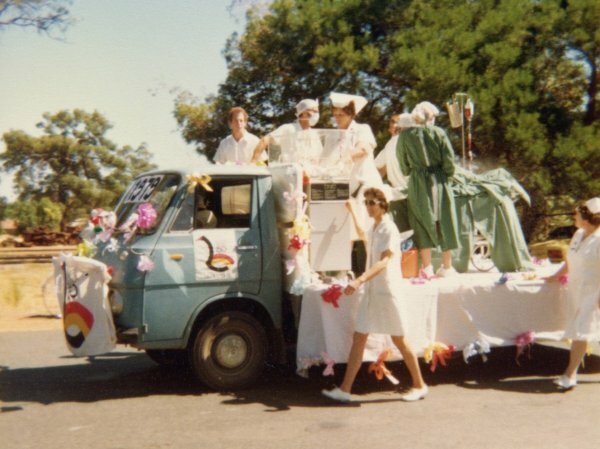 1979 - The Town of Armadale was proclaimed. 1979 - Gwynne Park Primary School opened.